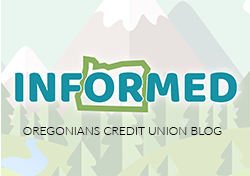 One fundamental goal of Oregonians Credit Union is to give back to our surrounding communities. We work to achieve this goal by donating time, energy, and resources to organizations and civic groups in our area. We believe that by investing in our community we will help to foster wellness, freedom, and economic prosperity. The Credit Unions for Kids program is a nonprofit collaboration of credit unions, chapters, leagues/ associations, and business partners from around the country, engaged in fundraising activities to benefit 170 Children's Miracle Network affiliated children's hospitals serving 17 million kids. Here in the Pacific NW, Credit Unions for Kids benefits Doernbecher Children's Hospital. Oregonians Credit Union is proud to support the Crooked River Roundup. Prineville's Crooked River Roundup PRCA Rodeo and Horse Races is family fun entertainment. While providing great entertainment, the Crooked River Roundup is the largest economic event driver in Crook County. 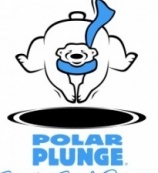 The Polar Plunge is an annual event that challenges its participant to jump into the freezing cold waters of the Columbia River. The event is hosted by Oregon Law Enforcement and benefits Special Olympics Oregon. Each year Oregonians Credit Union employees raise money, and pledge to jump for the cause. It is the mission of Financial Beginnings to deliver financial information to students throughout the Northwest. The programs range in topic from understanding currency, to laying out a budget, to understanding the basics of investing. With the help of Financial Beginnings Oregonians Credit Union staff step into classrooms and help students understand these essential financial topics. Oregonians Credit Union has teamed up with Junior Achievement to bring more financial know how and fun into the classroom. Junior Achievement works to give kids the tools and inspiration to strive for academic and economic success. Junior Achievement focuses on work place readiness, entrepreneurship and financial literacy. Every December Oregonians Credit Union staff and members work to fill the stocking for Clackamas County agencies. Fill-A-Stocking provides gifts to more than 20 agencies. Since the program began Fill-a-stocking has grown. They now provide between 2500 to 3000 stockings to over 20 agencies. The Crook County Holiday Partnership is a cooperative group made up of agencies and organization in Crook County. Their mission is to provide food boxes and gifts to children, disabled adults, and seniors during the holiday season. Oregonians Credit Union’s Prineville branch is pleased to host a “giving tree” to help with the collection of toys. Oregonians Credit Union is a proud sponsor of the Crook County Foundation’s Picnic in the Park. The Crook County Foundation works to build a strong and vibrant community. The Picnic in the Park series is a fantastic summer program that brings the community together with the power of music.